I bookmarked Jacqueline’s bookmarked recipe challenge, originally started by Ruth, a couple of weeks ago. I have tons of bookmarked recipes: a long list in my browser bookmarks, a few more stashed in Evernote, a box full of magazine and newspaper clippings, cookbooks bristling with Post-Its and bookdarts. Where to start? Well, my recent browse through Margaret Costa’s Four Seasons Cookbook provided inspiration in the form of tomato and pepper chutney, now maturing nicely in the larder. There’s something very satisfying about starting out with a pan full of chopped vegetables, reeking of vinegar, and finishing with these glowing jars of glossy red chutney, and it kickstarted me into more preserving. 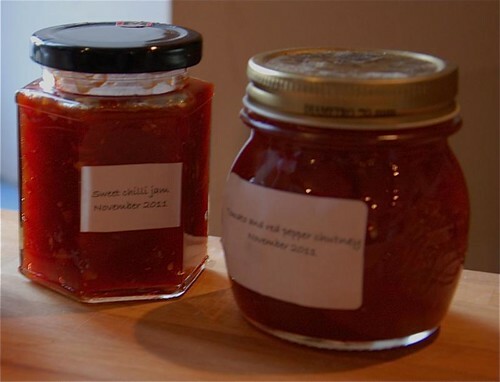 After a quick detour into Delia’s famous mincemeat, which I’ve had a printout of for ages and never made, I was prompted by the Cottage Smallholder site, fount of all knowledge about preserving, to make some sweet chilli jam using a recipe from the BBC Good Food site, a frequent source of bookmarked recipes. I love chilli jam and jelly — they make a lovely relish for cheesy and eggy things, and I’m also partial to them with scallops. I bet both jam and chutney will go very nicely with turkey too. 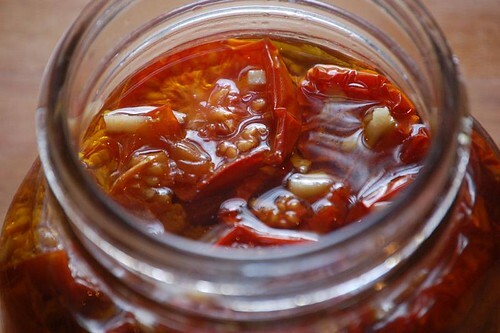 This is my version of the chilli jam recipe. I found the original rather imprecise in some ways. For example, it gives weights for some ingredients but then just specifies “8 red peppers”. Mine were huge, at least double the normal size, so I used four. Then it says “10 red chillies”, without any qualification — a little dangerous in my view. Throw in 10 Scotch Bonnet chillies with their seeds and the jam will blow your head off. I did like one comment on the BBC site which queried the “finger-sized piece of ginger” because “I have big hands”! As always, nothing beats tasting and adjusting as you go. I’ve enjoyed a few things from other people’s blogs recently, and these two recipes are definite keepers. First, Fiona’s Belgian pears. I made a mental note to try these ages ago, prompted by the rave reviews on her blog. When I looked more closely, the ingredients and method looked really strange — cook pears in vinegar and sugar for six hours??? Wouldn’t they be reduced to mush? But I have absolute faith in Fiona’s tried and tested recipes, so small pears from the market at 90 centimes a kilo seemed a good opportunity to try it. They sat at a bare whisper of a simmer on top of the woodburner, and the small amount of vinegary liquid slowly transmuted into a quantity of mahogany coloured syrup. After five hours, we tentatively tried a couple of the very soft pears with a little of the liquid and a blob of crème fraîche. Wow, they were good! As Fiona says, they taste alcoholic even though they are not. And they look most impressive bottled — they would make lovely Christmas gifts. Although I hesitate to vary from Fiona’s tried and tested recipes, to be honest (having done two batches now) I think you could cook them for less time. You have to handle them very, very carefully when bottling because they are so soft after six hours, even at an almost invisible simmer. 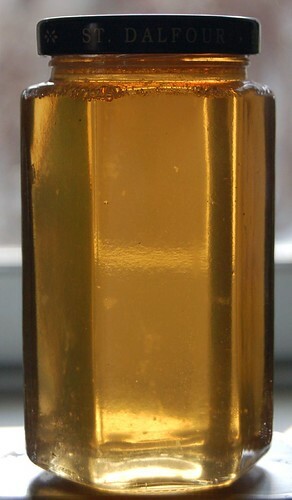 The necessary juice is produced during the first three hours’ cooking. So I think the uncovered simmering could easily be reduced to two hours without detracting from the final result. Next up, the weekly conundrum of the pumpkin in the veggie box. The Open University group of foodies came up with loads of ideas, and one of them caused me to google “pumpkin and carrot cake”, which brought me here. Yes! My somewhat amended recipe follows — no photo because the light wasn’t good and the icing was a bit of a disaster. But you can always look at the photos on Meeta’s post. The cake is dense, with a lovely spicy flavour, and a dark brown colour from the sugar. Good with or without the frosting. Oh, and if you don’t have any pumpkin I am sure it would be just as good with carrots alone. As usual at this time of year, we have a glut of grapes; our plot of vines is for making wine, but in the old days people often planted a few table grapes amidst the others. So every now and then when harvesting you come across heavy bunches of sweet, greenish-gold grapes instead of the deep red Carignan. The trouble with grapes is they don’t keep long, and you’d better believe you can’t give them away around here at harvest time. So we often end up throwing many of them away. This year I was determined not to, and grape jelly was about the only way I could think of for preserving them. 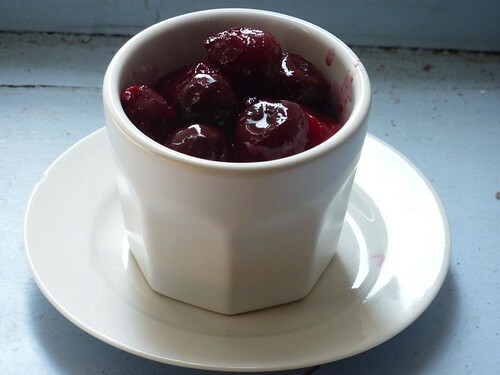 A bit of googling turned up a site which looked interesting and had not one but two recipes for preserving grapes. And unlike many sites it was clear that they really had tried the recipes, repeatedly. So these two recipes come from The Cottage Smallholder; I’m only copying them here because it would be unfortunate if next time around their site had disappeared! It looks well worth bookmarking if you are interested in home-grown food. We are fortunate enough to know someone with an organically cultivated apricot orchard, and at this time of year we take delivery of a 10kg crate of golden, red-tinged apricots. Unlike the under-ripe, tasteless apricots you get in shops, these are actually a pleasure to eat raw. Still, we can’t eat 10kg of apricots in a weekend, so time to get the preserving pan out. 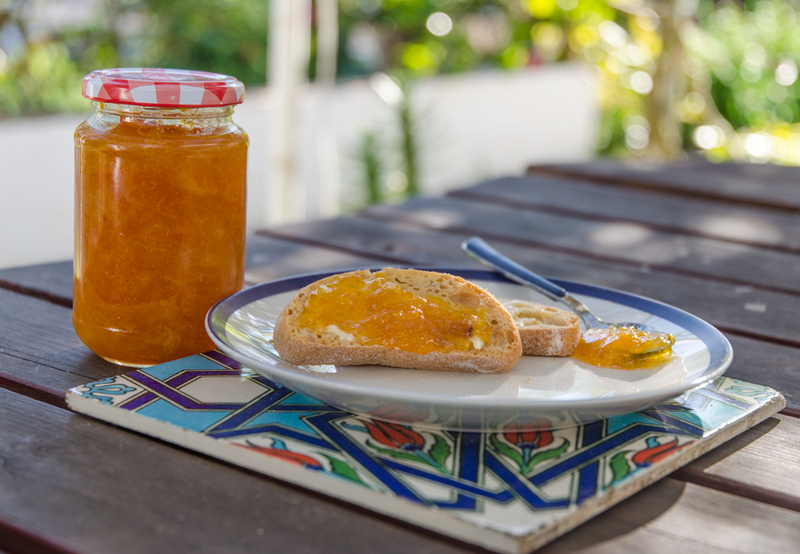 Last year I made the best apricot jam I’ve ever made with these apricots, but I made so much we still have some jars left, so this time I “only” used 2kg of apricots for that. 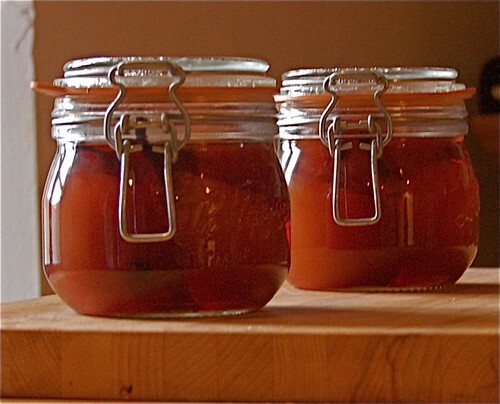 Another excellent and very easy way of keeping apricots is to preserve them raw in a mixture of syrup and alcohol. The resulting apricots are delicious in any cooked apricot dessert, or just as they are with cream or ice cream. 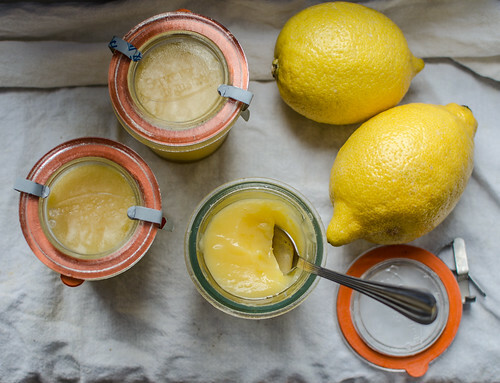 And of course the preserving liquid makes a very nice digestif. For when you have so many tomatoes you don’t know what do do with them, the freezer is full, you are eating tomatoes at every meal, and still they come!